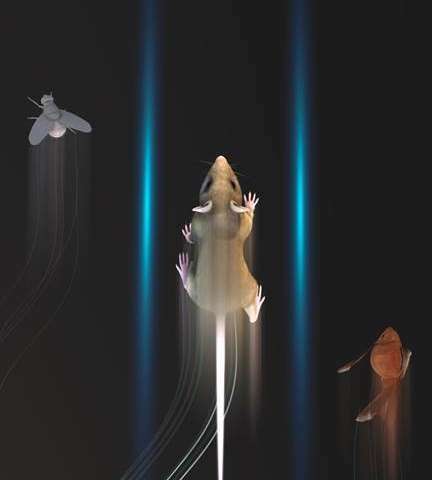 A team of researchers affiliated with several institutions in Germany and the U.S. has developed a deep learning algorithm that can be used for motion capture of animals of any kind. In their paper published in the journal Nature Neuroscience, the group describes their tracking tool called DeepLabCut, how it works and how to use it. Kunlin Wei and Konrad Kording with the University of Peking and the University of Pennsylvania respectively offer a News & Views piece on the work done by the group in the same journal issue. As Wei and Kording note, scientists have been trying to apply motion capture to humans and animals for well over a century—the idea is to capture the intricacies of all the tiny movements that together make up a larger, more noticeable movement, such as a single dance step. Being able to track such movements in animals offers some clues regarding their biomechanics and how their brains work. Being able to do so with humans can aid in physical therapy efforts or improvements in sports performance. The current process involves video recording the subject and carrying out a laborious process of tagging images frame by frame. In this new effort, the researchers have developed a computer automation technique to carry out the process, making it much faster and easier. To create DeepLabCut, the group trained a neural network using information from a database called Imagenet that contains a massive number of images and associated metadata. They then developed an algorithm that optimized estimations of poses. The third piece was the software that runs the algorithm, interacts with users and offers output of results. The result is a tool that can be used to perform motion capture on humans and virtually any other creature. All a user has to do is upload samples of what they are after, say, pictures of a squirrel, with its major parts labeled and some videos demonstrating how it moves in general. Then the user uploads video of a subject doing an activity of interest—say, a squirrel cracking open a nut. The software does the rest, producing motion capture of the activity. The team has made the new tool freely accessible to anyone who wishes to use it for whatever purpose they choose. Wei and Kording suggest the tool could revolutionize motion capture, making it easily available to professionals and novices alike.